Turkish-Ukrainian joint venture OUS Otomotiv Makina Imalat Sanayi ve Ticaret develops and produces Specia Tools and Test Benches for diesel services since 2009 under the trademark ONE UNIVERSAL SOLUTION. Despite the relatively young age Of the company, our solutions are based on over thirty years of experience of diesel fuel equipment repairing in the Authorized Diese services TEKNIK DIZEL SERVICE (Turkey) and AUTODIESEL (Ukraine). We offer our own unique clamping devices and test equipment that allow to repair, test, and maintain the modern diesel fuel injection systems of all well-known manufacturers, using one universal workstation. Our development team taken care of that the use of our devices are the most easy, convenient and simple. We have developed our software With One Universal Solution in our minds. 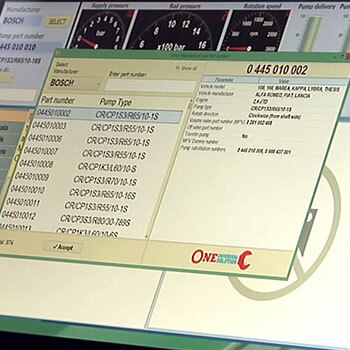 Our software will not only run the platforms but wil give you a wide database of parameters, manufacturer information, reference part numbers and also the best feature as onsite training for the diesel specialist. 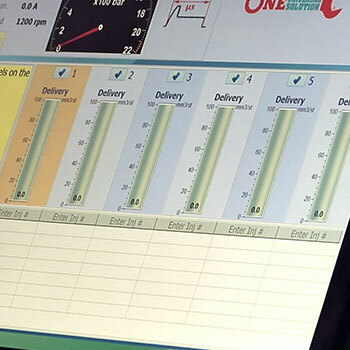 Our solutions a low you to create the modern Diese Service With considerable economy Of financial assets, workshop floor area and time for training of personnel.